My main ergonomic keyboard: The Kinesis Freestyle solo is a low cost split ergonomic split keyboard that helps prevent Carpal Tunnel Syndrome. It allows you to detach each side and position it independently, maximizing flexibility for different body shapes. Everyone is built slightly different, no one keyboard can accommodate everyone. I also purchased their special V-Lifter to position the keyboard in a more neutral position. It allows you to add two levels of vertical splay to this keyboard. 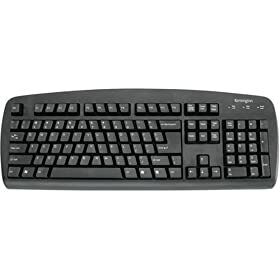 Another option to consider is remapping your keyboard to the DVORAK keyboard standard which may be easier on your hands or at least offer a short-term fix with a change in keyboarding strokes. Try to visit a store to test out more expensive keyboards. A lot of their ergonomics has to do with how far apart your hands are in a neutral position and how big your hands are. I have two ergonomic keyboards and switch between them during the day. This prevents my hands from getting stuck in one position for too long. Macros are key combinations that cause a predefined sequence of keys or words to be entered with a single keystroke. Use a program to create a hotkey combination that performs a variety of tasks or types a bunch of words with just one keystroke. AutoHotKey is a good bet for Windows. The less you type, the better. Also consider voice recognition software.